After White's two-space high approach, one way for Black to play is simply to enclose the corner. What now for White? 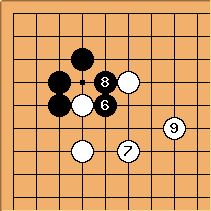 White plays 3 and 5, not worrying overly about Black's plays at a and b to cut. 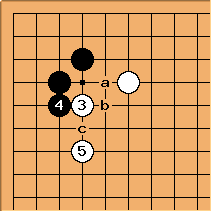 Black at c is another professional play seen here. White's play is light. 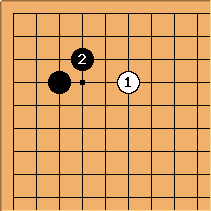 For example, Nie Weiping-Fujisawa Hideyuki 1982-06-13 went this way.